The department store chain has just announced the appointment of administrators, as it has fallen into the hands of its lenders, after much speculation in the press when it was revealed the business had refused Mike Ashley’s £150million rescue plan. FTI Consulting LLP’s Chad Griffin, Simon Kirkhope and Andrew Johnson were appointed as joint administrators, with the appointment made by Debenhams secured lenders as part of a pre-pack administration process. The retailer’s lenders are made up of High Street banks and US hedge funds, including Barclays and Bank of Ireland, Golden Tree, and Silver Point. The statement issued at lunchtime today explained that the business will “continue to trade as normal and honour their obligations (including guarantee obligations), such that the group's commercial stakeholders should not be adversely impacted by the Company's administration”. Debenhams has 166 stores, 50 of which have already been earmarked for closure as part of the department store chain’s restructuring plans, which remain ongoing despite the administration. The news will come as no surprise to many, who have suggested Debenhams was on the brink of administration since it turned down last-ditch rescue offers from Sports Direct and House of Fraser owner Mike Ashley, who has been locked in an ongoing wrangle over control of the retail business. Immediately following their appointment, the joint administrators sold the company's shares in the group for £101.81million, to Celine UK Newco I Limited, an entity owned by some of Debenhams’ secured lenders, following which Celine UK Newco I Limited acceded to the trust deed governing the notes as an additional subsidiary guarantor. According to administrators, the transaction delivers continuity for all group operations, “minimises business disruption, ensures continuity for the businesses and their suppliers and protects the group's employees”. It also allows additional funding of up to £99million to be provided. The affairs, business and property of the company are being managed by Chad Griffin, Simon Kirkhope and Andrew Johnson, with Debenhams immediately marketed for onward sale as a going concern. 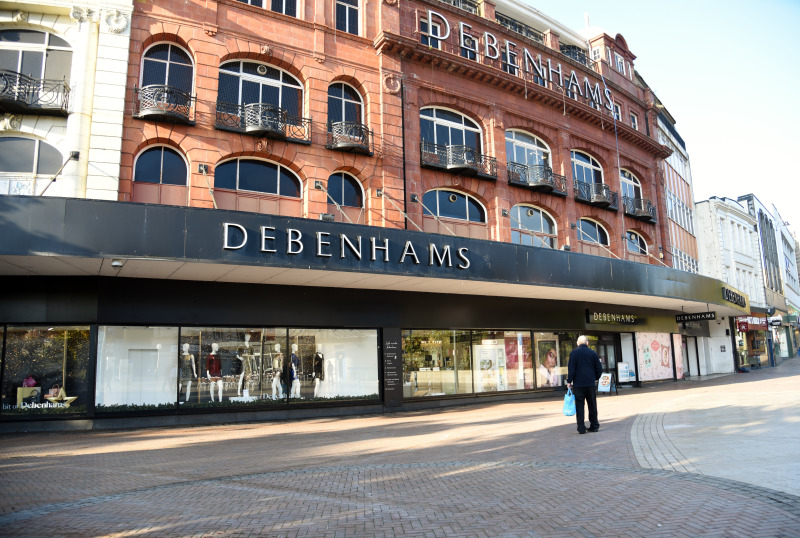 Addressing the value of the transaction by lenders, administrators insisted the Debenhams group was sold for what, in their opinion, “is the best price reasonably obtainable at the time of sale”. The hope is that a bidder will buy the group for a price that would repay the financial debt and secure pension liabilities in full, thus potentially yielding a return for the benefit of shareholders, including Mike Ashley’s Sports Direct, which has a near-30% stake. Yesterday afternoon Mr Ashley, who bought House of Fraser out of administration in August 2018, revealed Debenhams had rejected the proposal made by his Sports Direct business to underwrite a £150million equity issuance by Debenhams. Sports Direct also noted that it continued to actively evaluate all possible options to support Debenhams. Mr Ashley has since written to the board to reaffirm his pre-conditional possible offer for Debenhams at 5p in cash per ordinary share announced on March 25, which would have seen Mr Ashley appointed CEO of the Debenhams business. Sports Direct has also made a revised proposal to Debenhams under which Sports Direct would underwrite a £200million pre-emptive equity issuance to existing Debenhams shareholders. All shareholders with a stake of 25% or more have been given until 5pm on April 22 to announce a firm intention to make an offer for Debenhams.